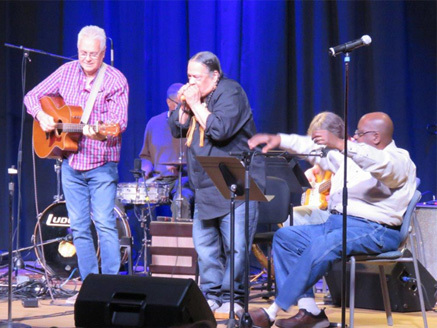 In June 2014, the WV Music Hall of Fame presented two evenings of “West Virginia Squares” at The Clay Center as part of FestivALL. 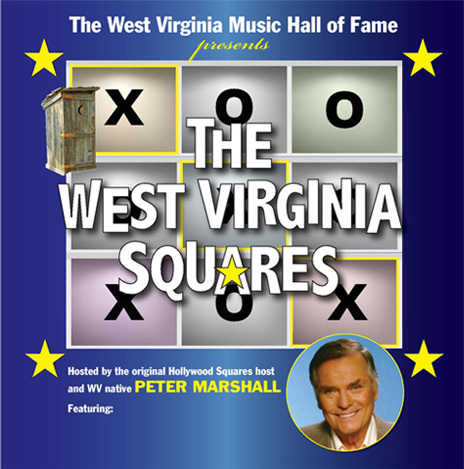 The idea was to recreate the entire Hollywood Squares show – set and all – with questions about West Virginia music. But the real treat was bringing the TV show’s longtime host, Peter Marshall, “home” to MC the four segments. Peter, who grew up in Wheeling and Huntington, went all out and spent almost a full week fine-tuning questions and the production. The guests on this segment are: Charlie McCoy, Joyce DeWitt, Billy Edd Wheeler, Michael Cerveris, Landau Eugene Murphy, Jr., Larry Groce, Donnie Davisson, Autumn Blair, and Bil Lepp. Thursday, April 11, 10:30 p.m.
Thursday, April 25, 11:30 p.m.
Monday, April 15, 11:30 a.m. and 2:30 p.m.
On March 29, a gaggle of West Virginia musicians gathered at Carnegie Hall in Lewisburg to celebrate the astounding career of Fayette County native and 2008 WVMHoF inductee Charlie McCoy. In addition to writing the book on country harmonica – and playing with the likes of George Jones, Loretta Lynn, Johnny Cash, Dolly Parton, Waylon Jennings and Kris Kristofferson – McCoy can be heard on classic recordings by Bob Dylan, Elvis, Leon Russell, the Steve Miller Band, Flatt & Scruggs, Ringo Starr, Perry Como, and Paul Simon. All told, McCoy has guested on more than 10,000 sessions and during one 15-year stint, more than 400 a year! For the tribute, harp chores were picked up by Ron Sowell, John Chic and Bob McGraw. 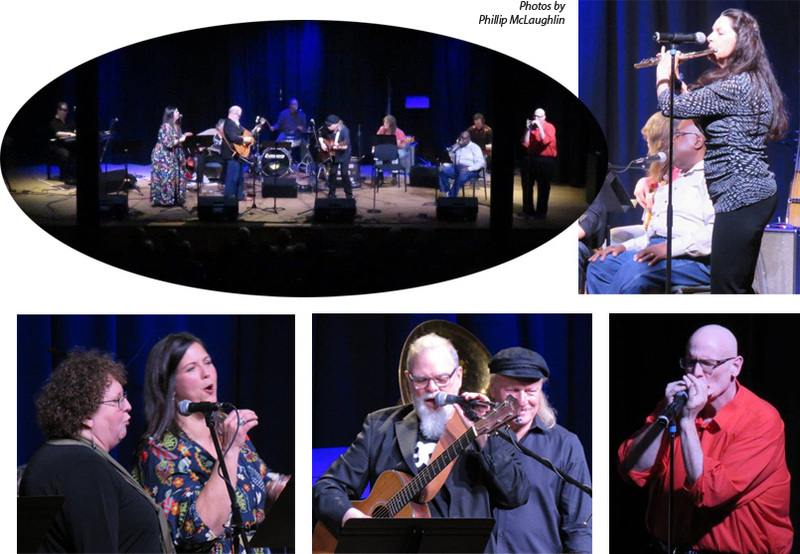 Musicians and bands included Mark Bates, Larry Groce, Annie Neeley, Susanna Robinson, Randy Gilkey, Travis Egnor, Wine & Roses, and The Carpenter Ants. The WVMHoF is proud to announce the five artists who will be inducted in April 2020. 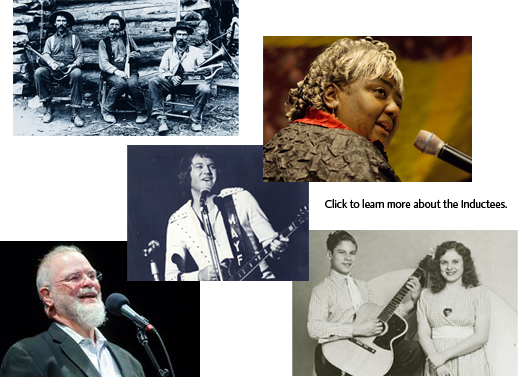 They are WV’s First Lady of Gospel Ethel Caffie-Austin; brother-sister country-rockabilly duo Sonny & Honey Davis; multi-faceted singer/songwriter/producer Larry Groce; legendary traditional musicians The Hammons Family; and eclectic singer/songwriter/actor Mayf Nutter. The eighth induction ceremony will be held April 4, 2020 in the Culture Center Theater in Charleston.